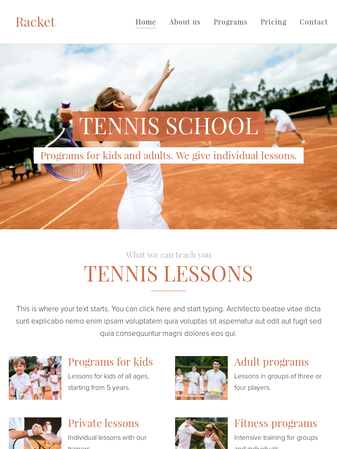 Template perfect for any sport school or coach like tennis school, football coaches, hockey club. 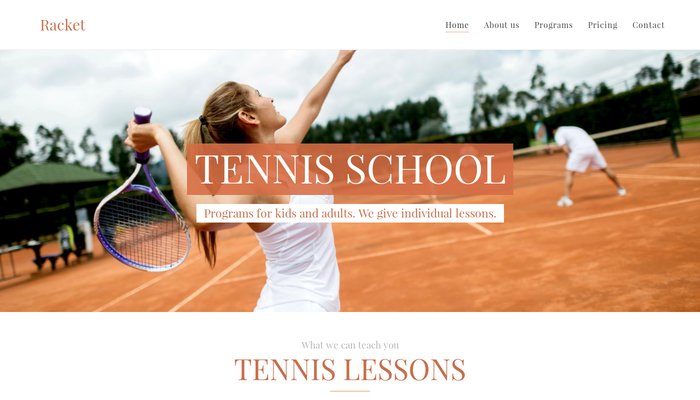 Beautiful design and carefully prepared structure will help you share your program, information about coaches, and price list for your courses. Use the FAQ section to inform your visitors.